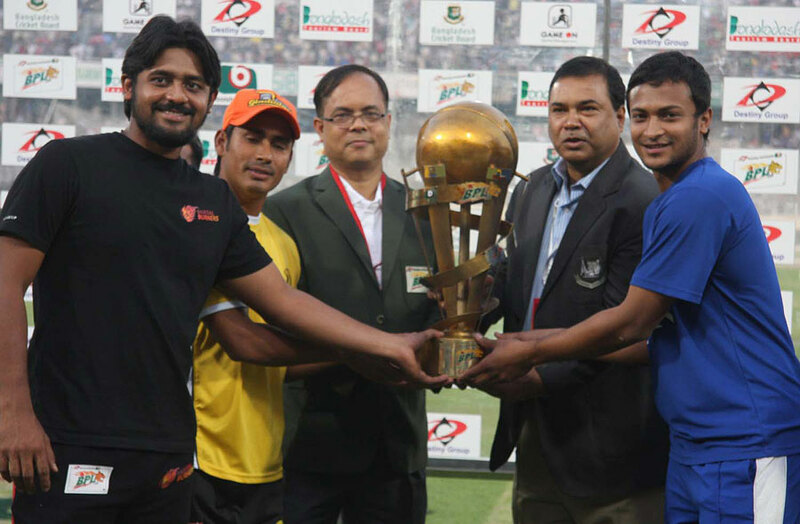 To be played on February 29 at the Shere Bangla National Stadium (SBNS). Match starting at 1200 GMT (1800 local). The big day is finally here. Notwithstanding the controversies as to who the semi-finalists were going to be, the inaugural Bangladesh Premium League is heading towards an entertaining final match between two big hitting teams: the Dhaka Gladiators and the Barisal Burners. The Dhaka Gladiators will have most of the capacity crowd behind them. They have been relying on a phalanx of power-hitting Pakistani recruits bolstered recently by the arrival of Shahid Afridi and Saeed Ajmal. Bangladeshâ€™s enigma Mohammad Ashraful seems to have started to shake off his long-term funk and have kept capable company. On the bowling side, the local lad Elias Sunny has ably served the Gladiators. Sunny is leading the tournamentâ€™s top wicket takers list and along with Mashrafe Mortaza who is having a dream comeback from long-term injury and mullet master Rana Naveed has also been in the thick of wickets, they have a formidable bowling line-up. The Burners are a surprise presence at the finals and that has nothing to do with the qualifying controversies. While they did get Gayle for a pretty sum and who has delivered on every one of his 551000 dollars, he was only going to be with them for a week and the Burners were not expected to go all the way. Along comes in Ahmed Shehzad, who, in no uncertain terms, was able to dictate proceedings with his big-hitting ability to be more than an adequate replacement for Gayle. He now leads the runs scored list. Dhaka has the highest wicket-taker and Barisal has the highest run scorer and so naturally, the spotlight will be shining on Elias Sunny and Ahmed Shehzad respectively. Elias Sunny, yet another product of Bangladeshâ€™s top-class SLA factory, has taken 17 wickets with an excellent average of 13.29 and a parsimonious T20 economy rate of 6.71.Â He has been chipping away with valuable wickets at crucial moments to swing the game towards the Gladiators. Ahmed Shehzad took over the spot left by Gayleâ€™s departure with alacrity. Said thank you very much and has not looked back since. In his seven outings for the Burners, he has scored a pair of centuries, half centuries, and forties. The Gladiators have won both their league matches against the Burners. They won the first match by 21 runs and the return match by 5 wickets. The crowd will be out at the game in droves but, unfortunately, the partisan crowd will be rooting for the home side Dhaka. Expect a high-scoring game. This page has been viewed 3982 times.